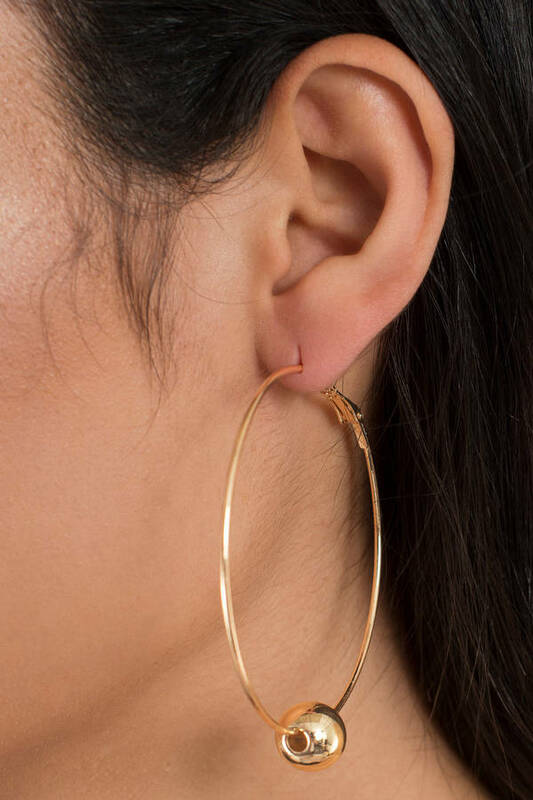 Check out Tobi's On The Ball Hoop Earrings Oversized hoops is one trend we can get behind, but we couldn't resist adding a twist. The Gold On The Ball Hoop Earrings are oversized gold hoop earrings with a single ball bead to add a modern touch. Luxe up a simple party dress with these dramatic hoop earrings. Oversized hoops is one trend we can get behind, but we couldn't resist adding a twist. 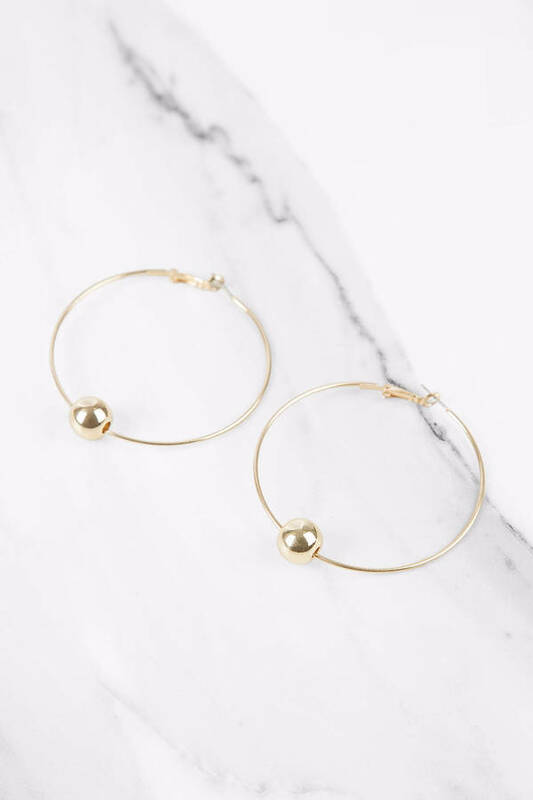 The Gold On The Ball Hoop Earrings are oversized gold hoop earrings with a single ball bead to add a modern touch. Luxe up a simple party dress with these dramatic hoop earrings.